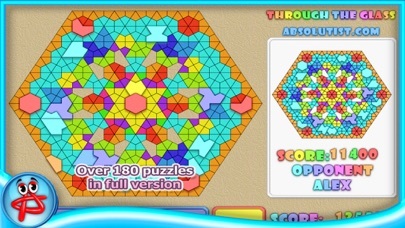 Create stunning glass mosaic pictures with a new free game Through the Glass: Jigsaw Puzzle! 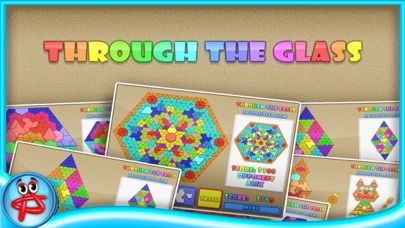 Enjoy the process of inlaying glass mosaics with dozens of colorful layouts. Get your matching skills work fast as you compete with others online. 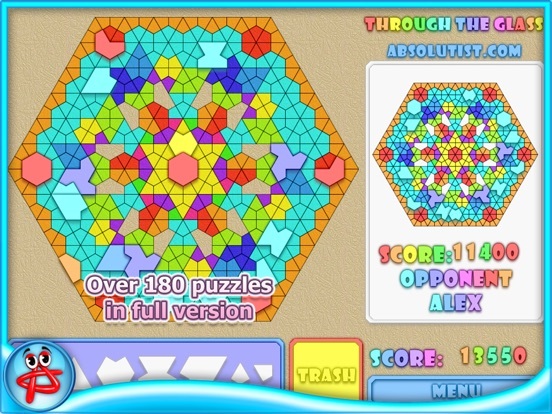 Work your way through countless mind-bending pictographic puzzles! 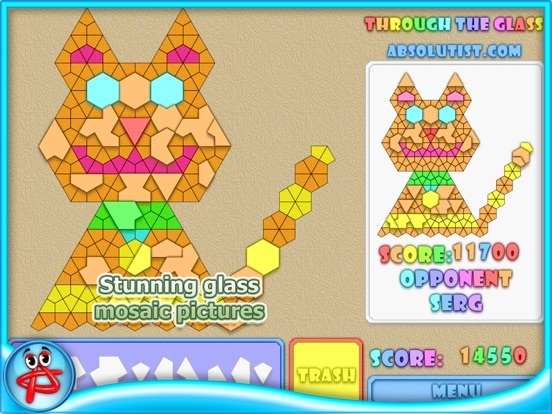 - Solve pictographic puzzles online! 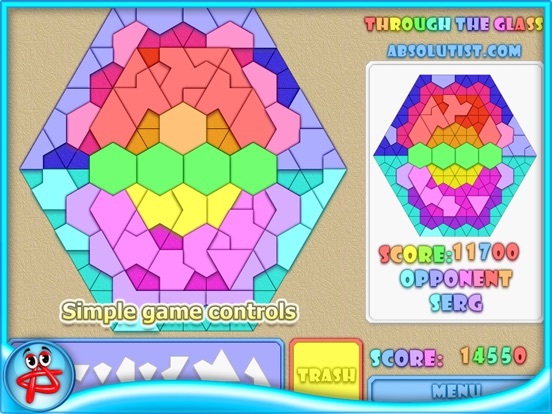 - Fill in layouts first to overcome your rivals. Make a picture from the pieces of glass! 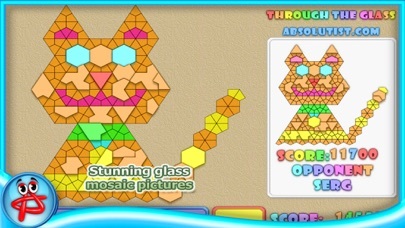 Place shapes of glasses on the board to create nice stained-glass mosaics. 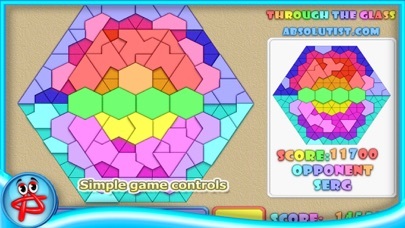 Take the pieces of glass from the blue container and place them on the colored template. Rotate pieces to fit the right spot and send the useless ones to trash. 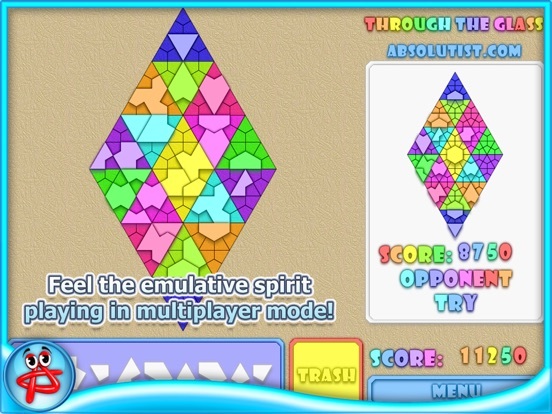 Use your creativity and feel the emulative spirit playing in multiplayer mode! 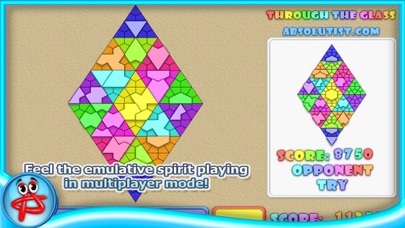 Get over 180 absolutely new amazing levels in the full version of the game. This is a great tool to develop attention, logic and decision making abilities.